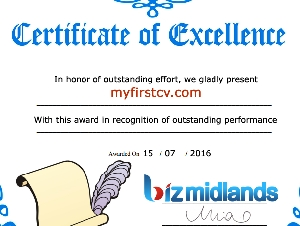 myfirstcv.com has been selected as the best online CV service in 2015 for helping thousand's of jobseekers to create their first professional CV. With it's excellent visual content and user friendly interface, it has become one of the fastest growing CV services in the UK. If you’re struggling to create a CV or want to update your existing CV, myfirstcv.com is a perfect place to start.